You have to make this refreshing summer salad! We paired this salad with our turkey burgers and the entire meal was delightful. 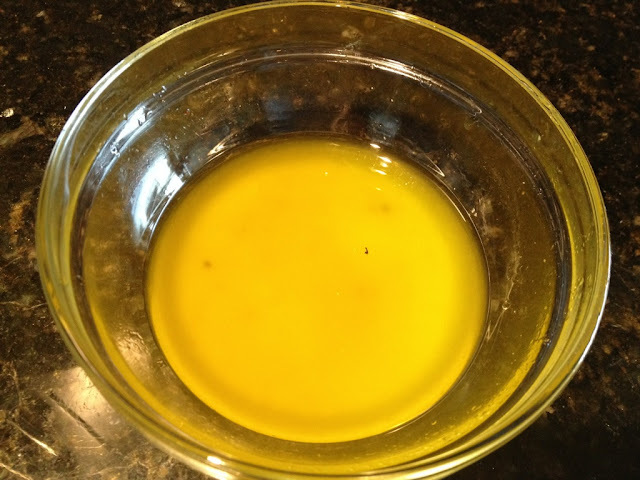 In a small bowl, whisk together the olive oil, lemon juice, salt and pepper. 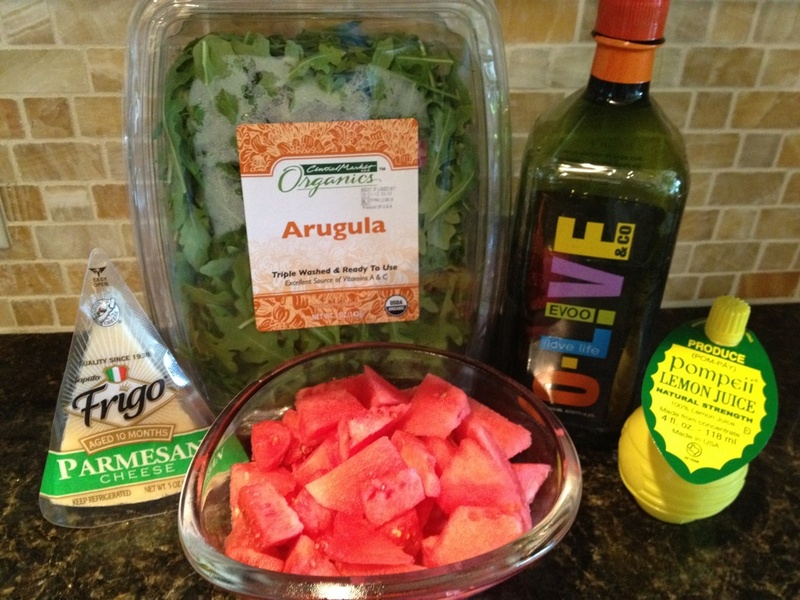 ***Pour enough salad dressing on the arugula to moisten and toss well. 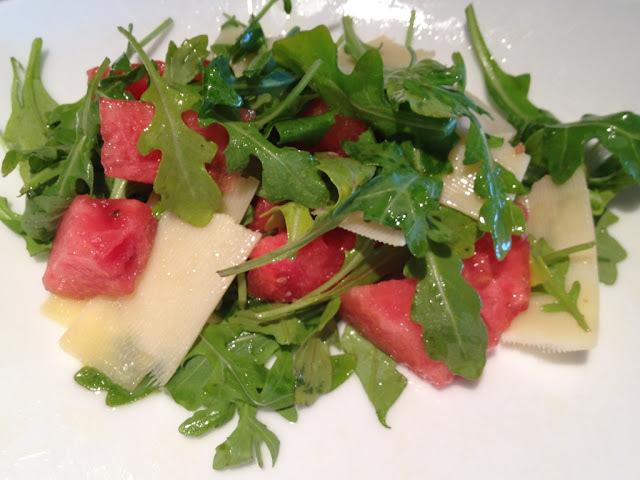 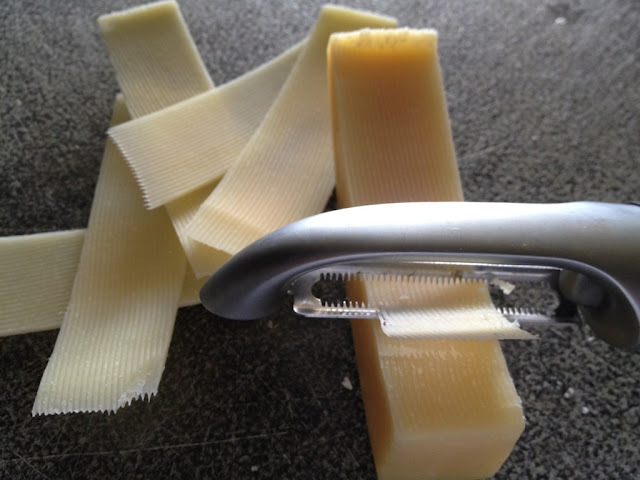 With a very sharp knife or a vegetable peeler, shave the parmesan into ribbons and spread on top of the arugula and watermelon.